If you are considering an asphalt driveway for your residential space or need repairs to your commercial blacktop driveway or parking lot, choose Everlast Blacktop. For over 25 years we have been providing long lasting and quality driveway paving and driveway sealcoating services. The dedicated team at Everlast Blacktop takes great pride in their artistry and in exceeding customer’s expectation in every way. No job is too big or too small, and we stand behind our reputation for customer satisfaction. From beginning to end, your driveway paving experience will be hassle-free. We guarantee it! Situated between the villages of Roselle, Itasca and Bloomingdale is the small community of Medinah in DuPage County, Illinois. Medinah is located about 35 miles northwest of Chicago and has easy access to the greater Chicagoland area by highway and the Medinah Metra train service. Proud to serve Medinah and the surrounding area with world-class driveway paving services is Everlast Blacktop. We have many satisfied customers in and around the Medinah area that rely on us to provide their asphalt driveway and blacktop driveway needs from new construction to regularly scheduled maintenance. Everlast Blacktop provides outstanding driveway sealcoating and driveway paving services to area businesses and residential customers of Medinah. 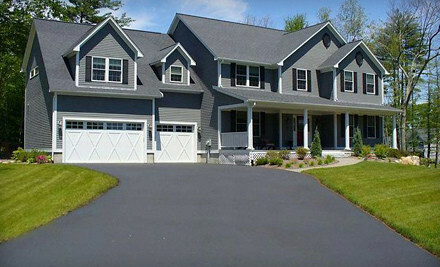 Contact one of our professionals today for your free onsite blacktop driveway or driveway sealcoating estimate. When you need the job done right, Everlast Blacktop guarantees the highest quality and affordable prices for all our driveway paving services. For more information, or to speak to one of our qualified driveway paving experts regarding your custom asphalt driveway design, call the driveway pavers of Everlast Blacktop today at (630) 855-5572.